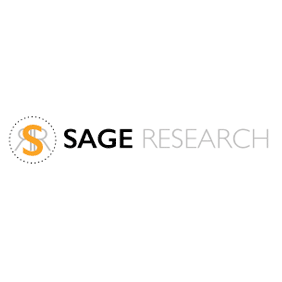 Sage Research is a consulting, recruiting, and capital sourcing firm focused on bringing strategic thinking, business development, and capital to forward-thinking executives looking to chart new directions to grow their businesses. Our hallmark rests upon exceptional content and data combined with insights tailored to foster new ways of thinking. In essence, we consider ourselves ‘Change Catalysts’. Our experience spans decades in bringing focus, growth, and data analytics to businesses ranging from early-stage startups to billion-dollar enterprises. We are so excited to work with JD Vaughn. JD is the Co-Founder and Chief Catalyst for Sage Research,and has been a telecom and technology industry leader for over twenty years with leadership roles at AT&T, PictureTel, Accord Networks, Polycom, Radvision, and Vidtel. Throughout his career he has been challenged with delivering extraordinary results, without ordinary resources, for startup companies and startup divisions of large corporations. He has worked as President and CEO of a real estate development company, and has helped raise capital for a number of new and established organizations.